Square Books is an independent bookstore in three separate historic buildings about 100 feet apart. The main store, Square Books, is in a two-story building with a cafe and balcony on the second floor; Off Square Books is a few doors down from the main store and has lifestyle sections such as gardening and cookbooks; and Square Books Jr, the children’s bookstore, is in a building adjacent to the historic Neilson’s Department Store, which has continuously operated since 1839. 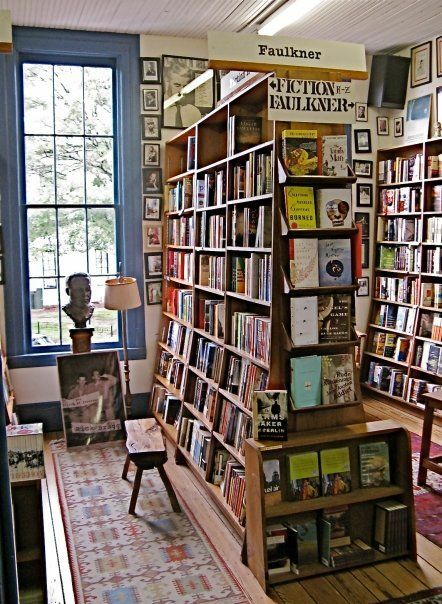 Square Books is known for its strong selection of literary fiction, books on the American South and by Southern writers, a large inventory of bargain books, and its emphasis on books for children. The second floor of Square Books has a coffee bar and in fair weather, people sit on the balcony overlooking the courthouse. Open 9-9 all week, and 9-6 on Sunday, Square Books is committed to matching books with readers and you and I ……we are committed to great bookstores like this one. 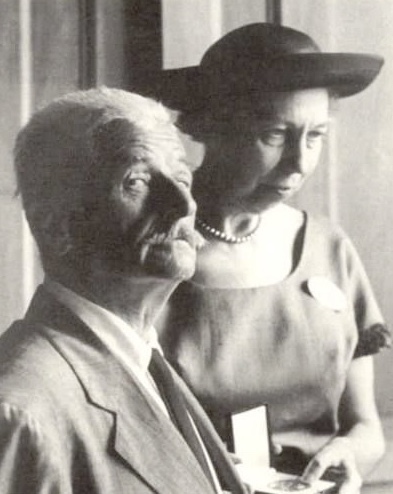 This entry was posted in Ato Z Blog Challenge 2018 and tagged AtoZ Blog Challenge 2018, Bookstores, Eudora Welty, Square Books-Oxford MS, William Faulkner. Bookmark the permalink. I like that quote by William Faulkner. For the month of April it is so true, although there is still so much reading to do, of other people’s writing. Loved your post. I’m not making as much progress as I would like in reading through the participants’ list.It’s partially because the sign-up list is not directly linked and I have to cut and paste every time I visit a new blog. I have a feeling others are slowed down too. I’m grateful you took the time to read this and leave a comment. Now I will repay the visit. Love the old southern courthouse it’s set in! Yes I’d love to visit there! I bet I’d find some Nancy Drew’s! Anytime commercial architecture finds a new use, I’m happy. Isn’t this site great! Repurposing old buildings is a preservationist’s dream. Wish we could meet there and sit a spell on the porch. Oh goodness – this one is tempting me to hop on a plane, train, anything and get there immediately. Best time might be in the fall when Ole Miss is playing football and you can take in the whole Oxford scene. Otherwise, let’s use our imaginations and I will meet you there for a long visit on that porch and we will talk books. It is so good to know that all these bookstores are out there! I loved doing the research for the stores I needed to find when trying to match up with the letters of the alphabet. Of course, I knew and had been to some myself, but the search was a happy quest. Have you got a favorite place to throw in on the tour? Thanks for spending time with me while bookstore hopping. Having a bookstore in a historic part of town and in a historic building seems like a perfect match. I can only hope as time goes on more historic buildings in downtown areas are repurposed including a bookstore space that can add so much to the life of the community. You really captured the setting well with the setup about your mother-in-law! Made it all that much more fascinating to me–and now I want to visit! In the mystery of things, I hope Miss Jane KNOWS she was remembered when it came to writing about a bookstore in Oxford, her old stomping grounds. Thanks for leaving your note and come back if you have time while we finish up the #Challenge. I hope she does, too! I will sure try. Not the Oxford I was expecting! I’d like to be sitting on that porch too. Aha! You folled me! I was thinking Oxford, England, but this bookstore will do just fine! Will put this one on my list – looks like I might find some Nancy’s there!